It's looking like a strong week for Black Friday gaming laptop deals, and there are already a bunch of great discounts on laptops available ahead of the big day. Some of the best gaming laptops are seeing big price cuts this year, so we thought it would be a good time to point you towards some of the very best deals already on, before they sell out or the deals expire. There's also been a good diversity across the range of Black Friday gaming laptop deals on offer, from introductory budget models to high-end offerings from the biggest manufacturers. 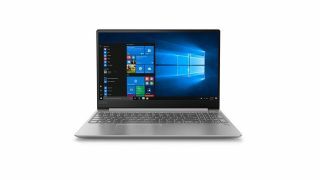 The Lenovo Ideapad 720s deal is particularly enticing: you can find them on sale right now for a mere $649 at Newegg, a full $550 dollars off the retail price of $1,199. That's almost half off on a super-light, very capable laptop, the perfect companion for doing some light gaming on the go or for carrying to the office. And that's just the tip of the iceberg - we grabbed three of our favorite deals you can sink your teeth into right now across low, mid, and mid-high specs. For every thing else under the ever hotter Black Friday sun, check out our huge, constantly updated Black Friday game deals page for a comprehensive look at all the best sales. For $550 off the retail price, this is a steal on a great mid-range laptop packing a dedicated graphics card and 512 GB SSD. Pick it up if you want an extremely capable laptop well equipped to game on, but don't want to spend more than $2,000 on an elite machine.